Take off blankets daily. Look for rubs. Look for sore spots. Look for pinched skin from buckles and straps. Also, inspect horses for tack rubs. On clipped horses they are easy to develop and see, and in some unclipped horses the extra hair under tack causes sores and rubs. 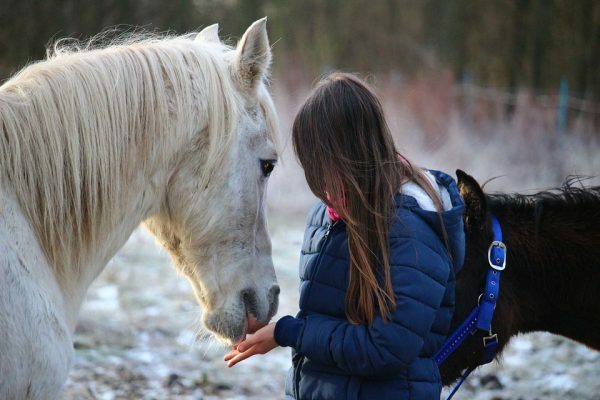 Groom your horse daily – you won’t be so cold after a good curry session! And you will be able to find weird new itchy places, scabs, hair loss, mites, lice, scaly skin, and dandruff – the list goes on. Anything new or weird warrants a quick text (and maybe a photo) to the Vet for further investigation. Take sweat seriously in winter. A fuzzy horse that sweats is more likely to overheat during exercise, get skin infections from the sweat, and to take a long time to dry, possibly risking getting too cold in the process. Use coolers to help dry, feed electrolytes before you ride if your horse is sweating, and be diligent in your daily skin inspections. Be prepared for stain accumulation. You won’t be bathing as often, so take advantage of dry shampoos and spot removers for those stains that pop up in winter. Keep your grooming tools exclusive to your horse. Rain rot and other bacterial skin infections are easily transmitted from horse to horse with brushes, grooming gloves, blankets, and saddle pads. BarnManager makes it super easy to jot down notes about each horse while you are grooming in our mobile app. To signup for a Free Trial of our equine management software and see how it can help you click here. Happy grooming, and spring is coming soon! 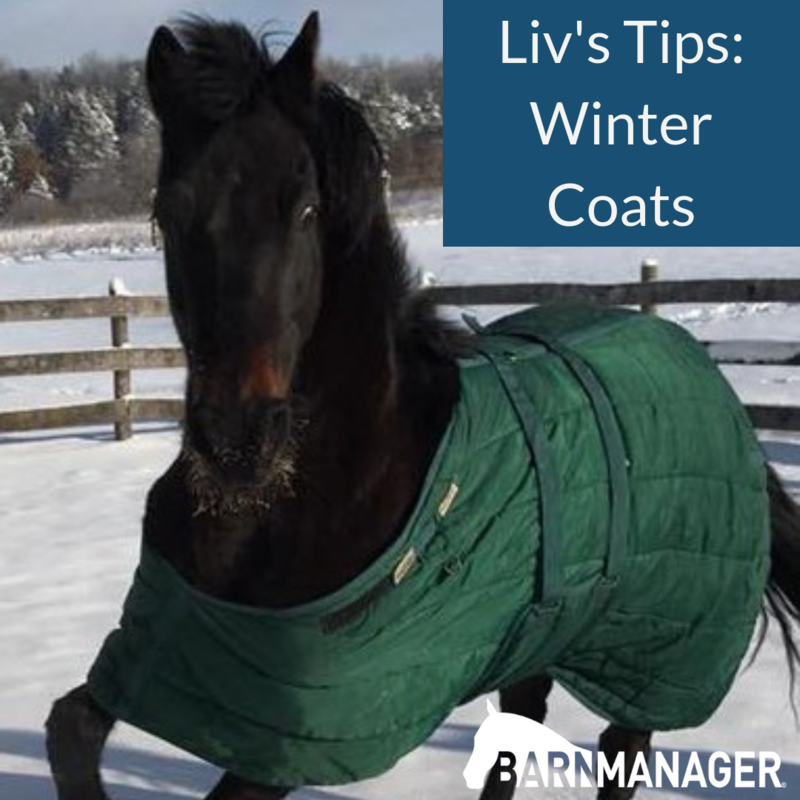 Do your horse a favor in cold weather and warm his bit up for him! It’s easy and makes bridling comfortable. Depending on your barn’s tack room set up, you might have a lot of options to make this happen! One easy way to warm the bit is to hang it in a window of the tack room. Of course, this only works if this tack room is relatively warm, but the sun through a glass window can work wonders. 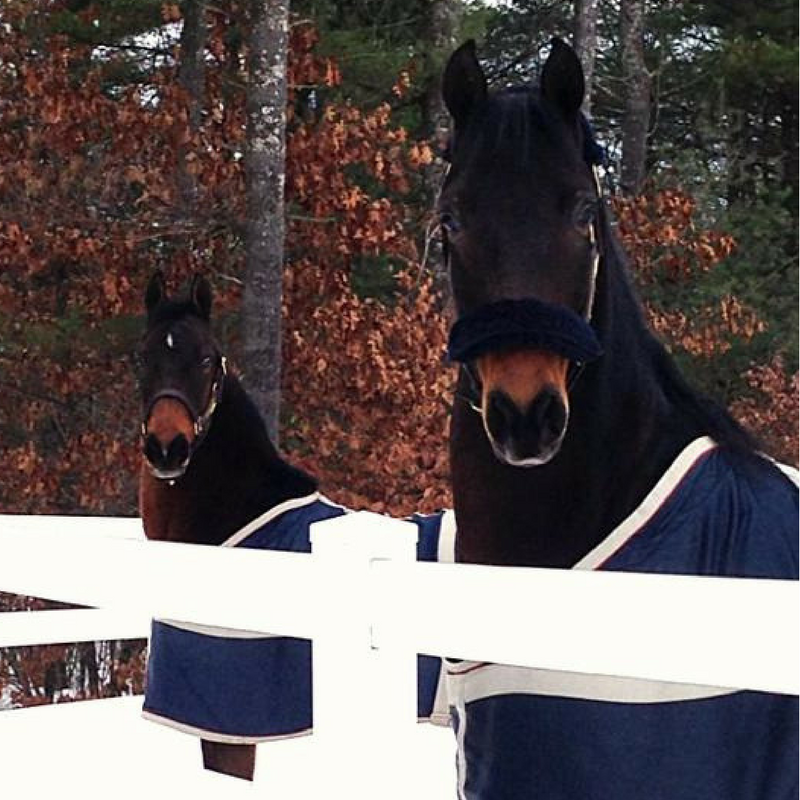 You can also wear the bridle under your jacket as you do barn chores and groom. This might take a bit of practice to not get totally tangled up though! The bit can also be warmed up by using any sort of warm compress. There are two types you can buy – some use the microwave to heat up and some need an outlet. Dunk that bit in some hot water for a quick second! If you have hot water from the faucet you can use that, or invest in an instant hot water kettle to create super hot water quickly. Make sure to test the bit to be sure it’s not too hot. Have a great winter ride!